These chunky boot socks are designed by Katie at her studio in South Wales, and made at a local factory in Ammanford, Carmarthenshire. 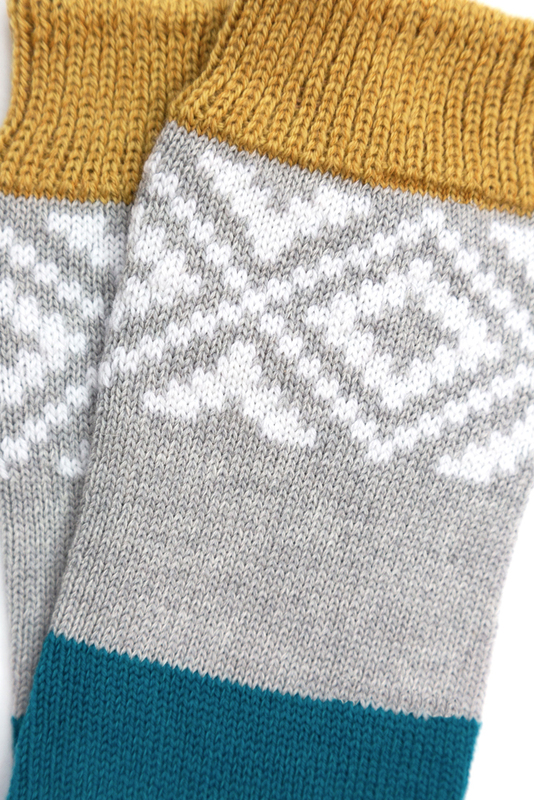 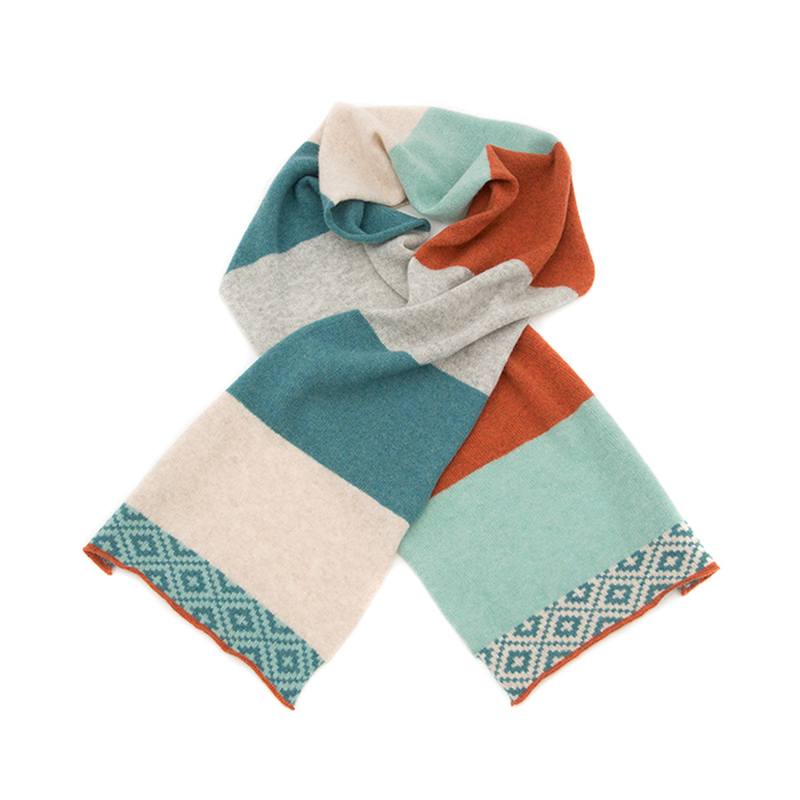 These warm wool socks are a great gift for someone special or as a treat for yourself. 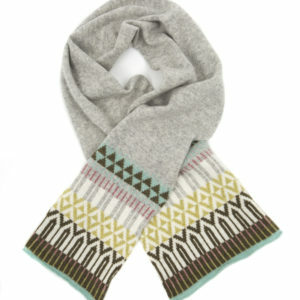 Machine washable with an elasticated top for a gentle hold – a special statement sock to keep your feet warm and toasty! 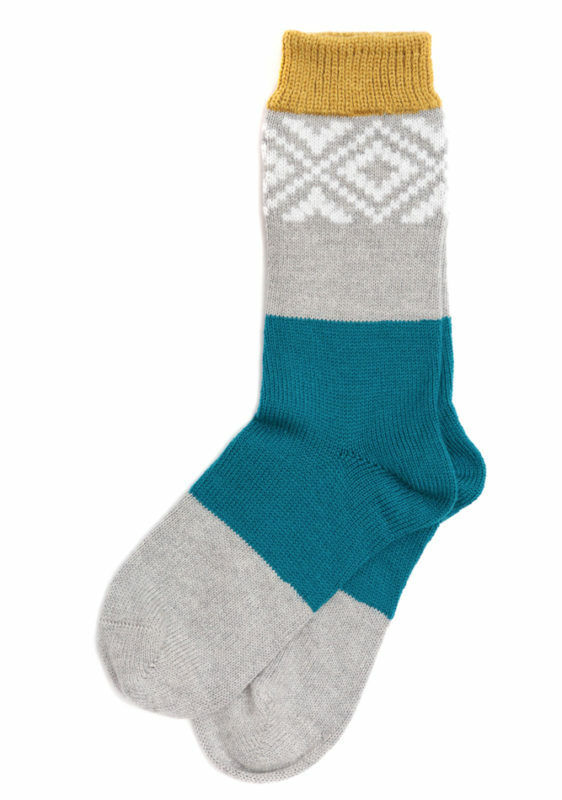 These socks will come to you wrapped in beautiful tissue paper with Katie Victoria swing tag.